One of my greatest fear while travelling is losing my luggages during transit. There is only so much that travel insurance could cover – definitely not the memories e.g. photos and souvenirs. While most luggages are eventually found, some are lost and end up sold in auctions as there are no indication of the owner’s name and address. 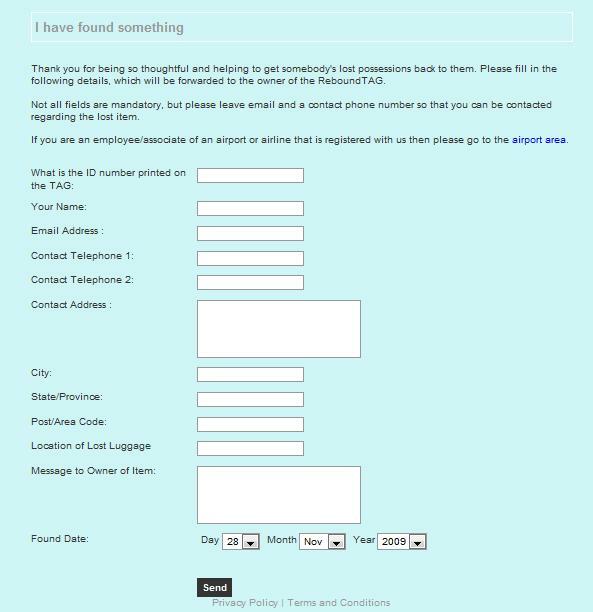 The dilemma is that most luggage security firms recommend that travellers avoid putting their personal details in plain sight, on their luggages. Identity theives would just steal your luggage and do all sorts of funny things with your info e.g. knowing your address and worse, since you are travelling now, your house could be vacant and susceptible to burglary. This is where a microchipped bag tag like ReboundTag could come in handy. 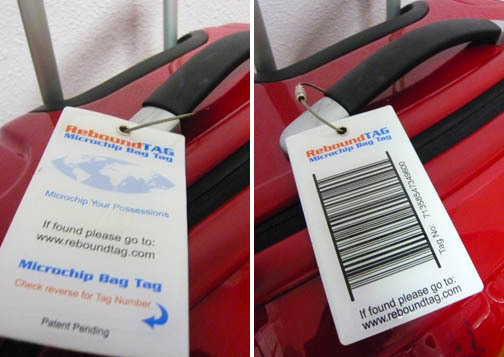 ReboundTag has a barcode and a human-readable number printed on it so that your luggage can be identified even without the use of microchip readers. It also has a second microchip within it so that airports can encode their own flight data onto the chip whenever you fly, thus facilitating the tracking of your luggage, should it get lost in transit. I tried out the ReboundTag on my luggage for my cruise vacation and while, thankfully, I did not have to test out the effectiveness of the tag, it gave me a peace of mind, knowing that there is a higher chance that my luggage would be returned to me, if it gets lost in transit. Unlike most flimsy tags which could easily come off with rough handling, the chain securing the tag to my luggage looks and feels very sturdy and could withstand lots of roughing out. To purchase ReboundTag, check out “Buy Tags” in the ReboundTag website. It cost £ 19.99 for a 3 year membership. You will have to renew after 3 years if you would like to continue using this service. You will save more money if you buy their family (3 per pack) and business executive (10 per pack) packs too. Also remember to get Travel Insurance before your trip in case your luggages are damaged or stolen (in which case, ReboundTag will not be able to help). Our ReboundTag was sponsored by ReboundTag and facilitated by Fuel My Blog. It’s really an impressive posting. I liked it & think that it will be helpful for others. Keep up the good work. Good luck. I love traveling and my greatest fear has always been my luggage which I trace only after loosing my things. Each time I try new things to keep my luggage safe, but this article gives me a sense of relaxation, I believe it would be useful to me and to many who read this. The post is informative and very well written. I have lost one or two bags like this, and I still repent over it. Anyways I became a little careful after loosing my valuables. Your attempt is a good and useful one though.